Prosthodontics includes crown bridge and Implantology. The department deals with restoration of missing tooth & other parts of body in head and neck region. The department is spread over 18000 sq. ft. area having separate undergraduate, post-graduate, implant and laboratory section. The department is fully equipped to deal with basic as well as advanced treatment modalities in prosthodontics and is fulfilling even very advanced prosthodontic needs such as dental implants, full mouth rehabilitation, maxillofacial prosthesis, cast partial dentures, flexible dentures, overdentures, immediate dentures for the population in and around Faridabad. To support these advanced procedures the department has fully functional ceramic, metal (casting) & acrylic laboratories where latest equipments such as induction casting machine (Ugin, France), pressable ceramic furnaces (Ugin, France), sandblasters, etc. have been installed. Professor who is balanced in clinical and academic skills to train the students. In Pursuit of achieving the balance he has been reading along with teaching and gaining the concepts in recent developments in Prosthodontics and Esthetic dentistry. He has to his credit umpteen number of national and international publications. Has done extensive research in removable prosthodontics related to neutral zone in complete dentures. He has a keen interest in full mouth rehabilitation of mutilated dentition, implants (especially immediate loading using basal implants). 5. Soft liners in Prosthodontics: A review .Indian Journal of dental sciences 2014; 6(5); 93-5. 7 Impressions in Implantology: it’s varied clinical implications .Indian Journal Dental Sciences 2013; 5(3); 94. 13. Overdentures with intraradicular attachments: a case report. Heal Talk 2010, 2(5); 5. 14. Infection control in Prosthodontics. J Oral Health Comm. Dent 2010; 4(1); 7. 15. Adverse reactions to Prosthodontic materials: A systematic review. Heal Talk-2010; 2(3); 33. 17. Dentistry in 21st century: a look into future. Journal of Oral Health & Community Dentistry 2009; 3(1); 9-14. 20. Prosthetic Rehabilitation of an Amputated Finger- A Case Report- Indian Journal of Dental Sciences 2016;8(3):163. 22. Qualitative Assessment of Wear Resistance and Surface Hardness of Different Commercially Available Dental Porcelain: An in vitro Study. The Journal of Contemporary Dental Practice, September 2016;17(9):755-761. 24.Analysis of Helkimo index for Temporomandibular Disorder diagnosis in the dental Students Of Faridabad City:A Cross Sectional Study-The Journal Of Indian Prosthodontic Society-2017;17(1):48. 25 .Post-Anaesthetic Ulceration of Palate-A rare complication-National Journal Of Maxillofacial Surgery;2016;7(1):86-88. Co –Author-Immediate Loading In Dental Implants-ISBN No-978-3-330-04391-6. ,International Lambert Academic Publishing (LAP). 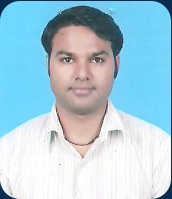 •	Best Student award in MDS –batch 1998-KLE, Belgaum, Karnataka. •	He got best paper for his presentation in IPS in the year 2009 in Thrissur, Kerela. 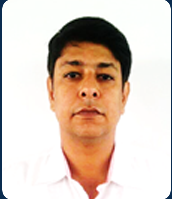 He is a dynamic professional whose goal is to achieve excellence in the field of prosthodontics. He has a very sound clinical knowledge and expertise especially in the field of implants. 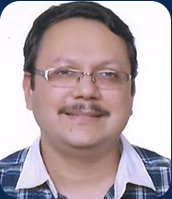 His zeal to learn more keeps him updated regarding the latest advances in prosthodontics. Has done lot of research on implant surgery & prosthetic rehabilitation of completely and partially edentulous patients. Has special interest in Full mouth rehabilitation and Removable & fixed prosthesis. 8. Soft liners in Prosthodontics: A review .Indian Journal of dental sciences 2014; 6(5); 93-5. Scientific paper presentation at millennium conference of Indian Dental Association, Haryana state, 17th Dec2000. Has interest in rehabilitating complete dentitions using appropriate fixed or removable prostheses; Competent in planning fixed full – mouth rehabilitation. Proficient in management of complete / partially edentulous situations using attachment retained prostheses. Well-versed with currently available dental implant systems, prosthetic components and prosthodontic protocol for implant supported prostheses. Has experience in fabrication of silicone maxillofacial and body prostheses. 1 .Evaluation of Suitability of Aluminium alloy(7010) as Denture Base material: An in –vitro study .Journal Of Indian Prosthodontic Society 2013, pg 77. 2 .Liquid Supported Dentures :A viable option for Atrophic Edentulous ridges. Indian Journal of Dental Sciences Dec 2013;5(5):99. 3. Magnet Supported Overdentures:An Overview. Journal of Innovative Dentistry Jan-April 2014;4(1). 4. Evaluation of The Use Of Gothic Arch Tracing Width as a guide for Positioning Of Artificial tooth : A clinical study. Indian Journal Of Dental Sciences , March 2014;6(1):49. 5. Soft Liners In Prosthodontics: A Review. Indian Journal Of Dental sciences, Dec 2014;6(5):93. 6. Full Mouth Rehabilitation :A case Report. Journal Of Indian Dental Association Jan 2015;9(1):17. 7. Andrews Bridge for anterior ridge-A case Report . Clinical Dentistry Mumbai, Feb 2015. 8. Management Of Mandibular Body Fracture in a young Child-A Case Report. Journal Of Pediatric dentistry Jan-April 2016;4(1):29. 9. Diagnostic Wax Up in Full Mouth Rehabilitation- A review- Healtalk 2016;8(5). 11. Prosthetic Rehabilitation of an Amputated Finger- A Case Report- Indian Journal of Dental Sciences 2016;8(3):163. 14. Qualitative Assessment of Wear Resistance and Surface Hardness of Different Commercially Available Dental Porcelain: An in vitro Study. The Journal of Contemporary Dental Practice, September 2016;17(9):755-761. 15. Rapid Prototyping:A New Chapter In Dentistry. International Journal Of Oral Care and Research,2016;4(4);301-4. 16. Management Of Oro-Maxillary Defect with a Definitive Obturator using Neutral Zone-International Journal Of Oral Care and Research.2016;4(4);308-11. 17. Oral Rehabilitation Of Adolescent Patient suffering from Amelogenesis Imperfecta-International Journal Of Preventive and Clinical Dental Research 2016;3(4):1-4. •	Lip/Facial Reproduction System for anterior Restoration”; at 38th IPS Conference from 12th to 14th November 2010 at Indore, Madhya Pradesh. •	Scientific Paper Presentation on” EVALUATION AND COMPARISON OF COLOR STABILITY OF PREFABRICATED AND CUSTOM-MADE EYE PROSTHESIS UNDER DRY AND WET CONDITIONS-AN IN VITRO STUDY” at 43rd IPS PG Conference 2015 at Park Plaza ,Chandigarh. •	Co –Author-Immediate Loading In Dental Implants-ISBN No-978-3-330-04391-6. ,International Lambert Academic Publishing(LAP). •	Co –Author-Distal Extension Partial Dentures-ISBN No-978-3-330-32748-1. ,International Lambert Academic Publishing(LAP). o	BEST STUDENT OF THE YEAR 2012 AWARD -MVN SCHOOL, SEC 17, FARIDABAD. o	Scientific paper presentation titled “Precision Attachments in Removable Partial Dentures –A Sound approach at 4th National conference of “INDIAN SOCIETY OF PROSTHODONTICS – RESTORATIVE – PERIODONTICS, held from 22nd -24th July, 2011 at Dharwad and Won the Best Paper Award for the same. Her goal is excel in both academic and clinical skills and to provide the best suited and possible treatment to the patients. M.D.S. (Prosthodontics, June 2009): From DJ College of Dental Sciences and Research, Modinagar. She has a keen interest in full mouth rehabilitation of completely and partially edentulous patients and implants. Has done research on effect of estrogen on oral hard tissues in both males and females. 3. Kathuria N, Prasad R, Gupta N, Manisha, Bhide SV. A Modified Technique and Simplified Laboratory procedure for Ocular prosthesis fabrication. Journal of Prosthodontic Research 2012;56: 147-50. 8. Gupta N, Kathuria N, Manisha, Mehta LK. Bonding: Foundation of dentistry. Journal of Innovative Dentistry, Vol 1, Issue3, 2011. 9. Gupta N, Kathuria N, Manisha Biologic effects of aloe vera gel. Internet Journal of microbiology- 2011; vol 9 number 2 . 12. Manisha, Kathuria N, Gupta A, Gupta N Habitual centric: A case report. Internet Journal of Geriatrics and Gerontology 2011;vol 6 number 2. 14. Manisha, Kathuria N, Gupta N, Kalra H. Role of dentist in managing sleep apnoea. JOSS, 2010;Volume 1, Issue 2,Oct-Dec.
17. Jain N, Pathak C, Manisha, Kaur H, Kundra S, Sharma R. Rapid Prototyping:A New Chapter In Dentistry. International Journal Of Oral Care and Research, 2016;4(4);301-4. 18. Pathak C, Khullar A, Mittal H, Pawah S, Jain N, Manisha. Management Of Oro-Maxillary Defect with a Definitive Obturator using Neutral Zone-International. Journal Of Oral Care and Research.2016;4(4);308-11. Ailing and failing dental implant at 3rd International Congress of Oral Implantology at New Delhi from 17th – 19th October 2008. She is an ideal professional with high ambitions to excel in the field of dentistry. 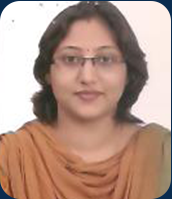 She is a keen academician and keeps herself updated with latest advances in prosthodontics. She has special interest in implant surgery & prosthetic rehabilitation. 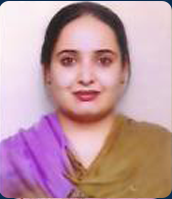 She has done research on acrylic resins and has keen interest in maxillofacial prosthesis. 1. Effect of glass and carbon fiber reinforcement on the transverse strength of conventional heat cure denture base resin processed by heat and microwave energy – a comparative in-vitro study published in Heal talk journal 2012 May-June voloume-04 issue-05 Pg: 22-26. 6. Tuberculous osteomyelitis of maxilla: National journal of oral andMaxillofacial Surgery 2014 Volume 5 Issue 2 Page Nos. 188-191. 9. Osteosarcoma of mandible a case report International journal of clinical cases and investigation 2015. Volume 6 issue 4:131-139. 10. Prosthetic Rehabilitation of an Amputated Finger :Acase report, Indian J Dent Sci 2016;8:163-7. 13. Post-Anaesthetic Ulceration of Palate-A rare complication-National Journal Of Maxillofacial Surgery;2016;7(1):86-88. 1. “To give the best know the best” at 35th IPS National conference from 9th - 11th September 2007 at Delhi. 2. “Mutilated dentition” at 10th National PG convention from 8-10th February 2008 at Udaipur. 3. “Dental materials- Expect the Unexpected” at 36th IPS National conference from 7th – 9th November 2008 at Bangalore. 5. “Dental materials – Play them safe” at “Scientific Meet 2008-09” on 31st December 2008 and 1st January 2009 at JSS Dental College, Mysore. 1. “Provisional restorations”- at 35th IPS National conference from 9th - 11th September 2007 at Delhi. •	TENS IN DENTISTRY- International Lambert Academy Publishers (LAP). •	Mandibular movements in prosthodontics- International Lambert Academy Publishers (LAP). •	Best paper at “Scientific Meet 2008-09” on 1st January 2010 at JSS Dental College, Mysore. •	Best poster Dental materials- Expect the Unexpected” at “Scientific Meet JAN 2008 at JSS Dental College, Mysore. She is a patient focused dental professional seeking a challenging career as a prosthodontist. She always keeps herself updated with recent advances and techniques in her field. 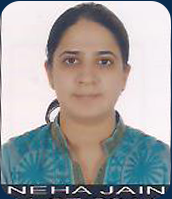 She has done research on nanocomposites and ceramics and has keen interest in fixed prosthodontics. Also has special interest in TMJ related problems & occlusion and full mouth rehabilitation. •	Rapid Prototyping:A New Chapter In Dentistry. International Journal Of Oral Care and Research,2016;4(4);301-4. •	Management of Oro-Maxillary Defect with a Definitive Obturator using Neutral Zone-International. Journal Of Oral Care and Research.2016;4(4);308-11. •	Oral Rehabilitation Of Adolescent Patient suffering from Amelogenesis Imperfecta-International Journal Of Preventive and Clinical Dental Research 2016;3(4):1-4.